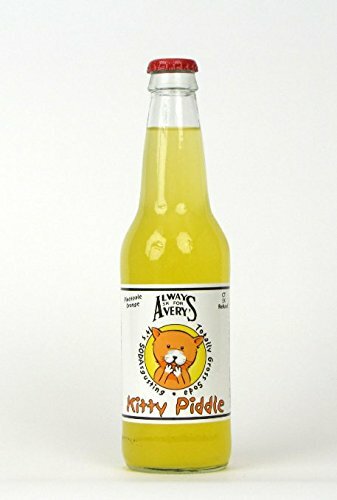 FRESH 12oz glass bottle Avery's Kitty Piddle Orange-pineapple soda with real sugar, no high fructose corn syrup! The Sodasgusting line of Avery's flavors were inspired by the concoctions created by Avery's young soda makers in their "Make Your Own Soda" program, these flavors look and sound gross, but are absolutely delicious! The look of the little kitty on the bottle says it all.